Eadwig died on October 1st, 959, still in his teens, in circumstances which remain unknown. Succeeding his uncle King Eadred in 955 at about the age of 15 and considered exceptionally handsome, Eadwig quickly gained himself a reputation. According to a story which grew more and more salacious with repetition, he sneaked out of his coronation feast at Kingston in Surrey to enjoy himself with two women, a mother and her daughter. When the new king’s absence was noticed, the future St Dunstan, then Abbot of Glastonbury, and the Bishop of Lichfield were sent to look for him. They found him with the women and minus his crown and only after a violent row was he forced back to the feast, respectably crowned again. How much truth there is in this tale there is no way of knowing, because its first surviving appearance is in the earliest life of St Dunstan, written 40 years or so after the event, and Eadwig and Dunstan were bitter enemies, but it kept Eadwig’s memory alive for centuries. As late as the 18th century, plays about his behaviour at his coronation took the stage and history painters exploited the subject. In fact he soon married the younger of the two women, whose name was Aelfgifu and who was apparently within the prohibited degrees of kinship with him (she may have been his third cousin). It was supposedly her mother who was responsible for getting Abbot Dunstan banished for a time. 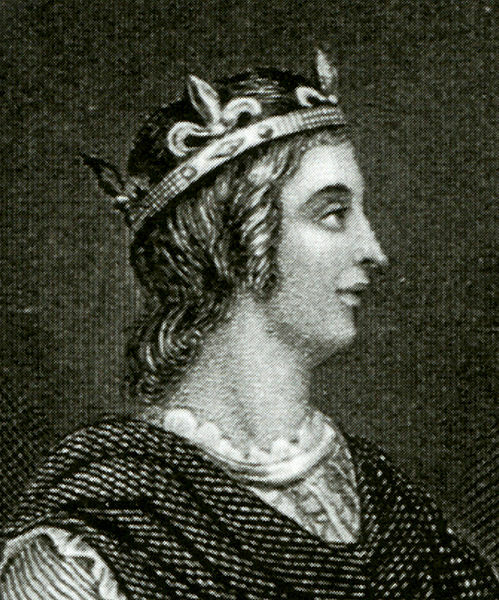 Eadwig came from the ruling house of Wessex and in 957 both the Northumbrians and the Mercians renounced their allegiance to him in favour of his 14-year-old younger brother Edgar. According to the first life of St Dunstan, this was caused by Eadwig’s youthful irresponsibility in rejecting older, experienced advisers and relying on friends of his own age who were as thoughtless as himself. Sir Frank Stenton, the historian of Anglo-Saxon England, thought there was probably some truth in this. Eadwig was also accused of plundering the monasteries, despoiling them of their lands and giving them to his favourites, and there were stories of further amorous adventures. Eadwig died in 959, still in his teens, and was buried in Winchester. Edgar was at once accepted as king of the West Saxons and, as he was already king of the Mercians and Northumbrians, the kingdom of the English was restored. He recalled Dunstan from exile and made him his constant adviser and Archbishop of Canterbury. He was a zealous patron of the monasteries and a supporter of the Benedictine reform movement and lived until 975, after a peaceful reign which Stenton described as ‘singularly devoid of recorded incident’. From the point of view of his people, that might almost be described as the definition of a good king.